They are deep divers, and are seldom seen in groups. There habitat is mainly warm-temperate and tropical waters Their diet consists of pilchard, mackerel, herring, anchovies, shrimp, crabs, and lobsters and sometimes octopus, squid, and cuttlefish. 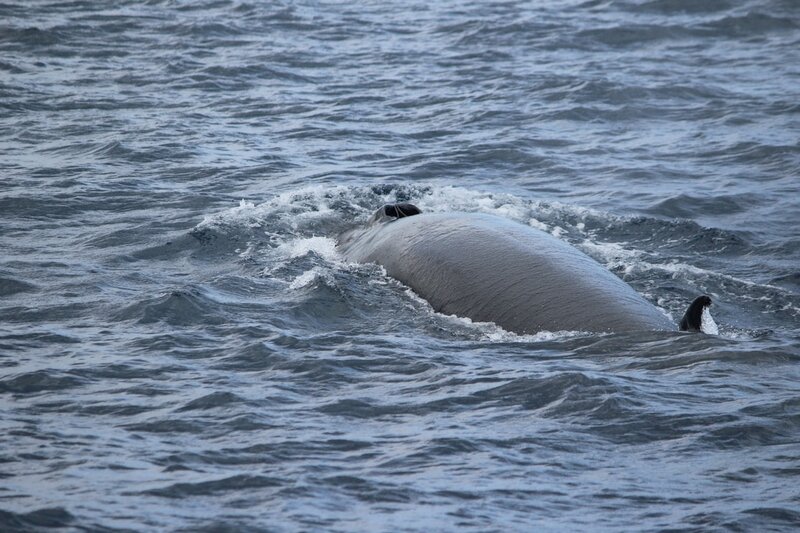 Bryde's Whale is dark gray with a yellowish white underside. It is the second smallest rorqual. It has three parallel ridges in the area between the blowholes and the tip of the head. The dorsal fin is sickle shaped and the flippers are small relative to body size.Bryde's Whale has two rows of baleen plates on the top jaw with about 300 plates on each side. Each baleen plate is short and wide.